Presider: Let us pray as we come together, as brothers and sisters in this one world, to break bread and share the blessings we have received from God our Creator. Through the Holy Spirit, may we learn to love as Jesus did; seeing no differences in anyone, all accepted as one with our God. May we open our hearts to the planet on which we all live, and to the people we encounter, whoever they may be. All: Amen. This is the day that our God has made, let us rejoice and be glad in it! All: God of life, wholeness and holiness, you who direct all creation to its fulfillment in Jesus, the Christ – open our hearts to the message of the Gospel so that your peace may rule in our hearts and your compassion may guide our lives. Loving God, bless all of us gathered here and all those of our community who are not with us today. We especially ask your grace on those who look to the life and death of Jesus for strength and hope in this time of tragedy. Amen. 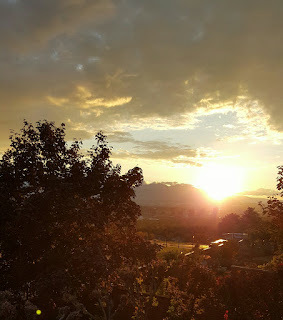 Presider: Creator God, to you all hearts are open, no desires unknown, and no secrets hidden. We ask you to send your Spirit to us so that we may live more fully according to your will. Through your grace, we are worthy to be called your blessed people. All: Help us to prayerfully hear Wisdom’s messages, to faithfully understand them, and to continually receive the strength to follow them in our lives. All: Help us to extend your forgiving presence that is your gift in us to all those people with whom we live, with no exceptions, including those who commit heinous crimes. All: (with an outstretched arm): God, the Father and Mother of mercy, through Jesus’ life, death and resurrection, he bonded the world to you. He sent the Holy Spirit to move among us and all creation. May that Spirit give us the wisdom to love you – and the courage and compassion to love one another whatever our differences. Compassionate God, teach us the virtues of pardon and peace so that we may – in turn – learn to forgive our failures to care for one another and for our planet Earth. We ask this in the name of Jesus, our brother and of the Holy Spirit, our healer and comforter. Amen. All: Glory to God in the highest, and peace to all God’s people on earth. Creator God, heart of the evolving universe, we thank you for the breath of the Spirit sustaining everything that exists, everywhere in the cosmos. What ever the pain, whatever the loss, we know you are here in the midst of our suffering to give us strength we need to carry on, as you did your son Jesus. It was through his example and teachings that you gave us the grace to know that you are always with us – and that, through our acts of love, we can experience you in one another. In this, we give you glory and praise. Amen. First reading: Isaiah 9:2-5 All: Thanks be to God. Second reading: Galatians 3:26-29 All: Thanks be to God. Presider: We are a people of faith, believing in the power of prayer. We are always mindful of God’s unconditional love and care for all of us. And so, we bring the needs of the people – throughout the world – to our merciful and gracious God. After each intercession, respond: Compassionate God, hear our prayers. Presider: Healing God, you faithfully listen to our prayers. We ask you to strengthen us in our caring for one another and in our works for justice and equality so that we may help develop peace in a world without violence. As always, we make this prayer in the names of Jesus, the Christ, and the Holy Spirit, our Wisdom. Amen. Gathering of the Gifted: All are welcome around our family table. Presider: Jesus, who has sat at our tables, now invites us to be guests at his family table. 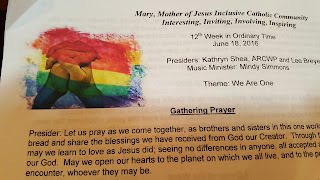 Everyone is welcome around the table of our God. 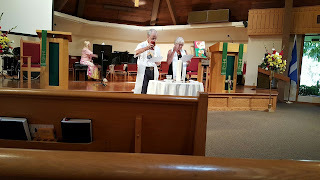 ALL: Compassionate God, we are united in this sacrament by our common love of Jesus. We are in communion with everyone, everywhere, who proclaims your mercy, especially to all those who are marginalized and oppressed. May we love tenderly, do justice, and walk humbly with you in solidarity with our brothers and sisters. May we live as prophetic witnesses to the Gospel, supported by the vision of Jesus and the wisdom of the Spirit. Amen. Voice 2: We thank you, God, for the gift of Jesus in history – and the gift of Jesus in faith. Through him, you breathe life into us. He was moved by his vision of your constant presence among all people. He burned with insight and truth, revealing you in his life well lived. He showed us, through his example, not only how we should live, but also for what we may die. Voice 3: When his time had come, Jesus knew his destiny and gave up his life for the values he deeply believed and taught…his conviction that love is stronger than death. And then, as an example this insight for the ages to come, he opened wide his arms and died. The Spirit, who raised Jesus from the dead, showed us that life is eternal and love is immortal. Jesus is with us today as he will be through the end of time. All: O God, let your Spirit of life, healing and wholeness come upon these gifts that we brought from your fields and placed on our table — this simple wheat and wine. May she make them holy so that they may become for us the Body and Blood of Jesus, our brother. 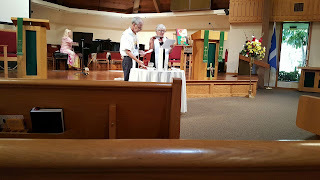 Voice 4: In memory of Jesus’ life, death and resurrection, we offer you, God, this life-giving bread and this saving cup. May all who share this sacred meal be brought together in unity by the Holy Spirit. And may that Spirit, that Wisdom, that moved in Jesus move freely in our lives as well as She did in that of Jesus. Voice 5: God, remember your church throughout the world, help us grow in love, together with Francis, our Pope, Bridget Mary, our Bishop, and all your family everywhere – especially those who live on the margins of church and society. Remember also all those, living and dead, who touched our lives and left their footprints on our hearts. We remember especially…. (mention names, if you would like to). All: Through Christ, with Christ, and in Christ, in the unity of the Holy Spirit, all glory and honor is yours, Creator God, forever and ever…and let everyone sing…. Amen. (5-6 X). All (holding hands): Our Father and Mother, who are in heaven …….. Amen. May our hearts be glad on our journey as we dream new dreams, see new visions, and create a new heaven and Earth. May we all live and work for peace, justice, and non-violence in our hearts and those of all others as well. each other, even in our differences, always. Presiders: As we leave here in the peace of Christ, let us be peace, compassion, and justice to the world in all that we do. Raise your voices, all you works of God. Verse: Sun and Moon, bless your maker! Stars of heaven: Chant your praise! Showers and dew: Raise up your joyful song! All the Earth, bless your maker! Hills and mountains: Chant your praise! Green things that grow: Raise up your joyful song! Spirit of God, come, burn in your people, Spirit of Love that brought us to birth; Kindle anew the flame of your justice, Grant us your vision: a new heaven and earth. So we may be all you call us to be. So weak shall find strength, and captives release. Come open our hearts and grant us new dreams. Pope Francis has said the "great majority" of Catholic marriages being celebrated today are invalid because couples do not fully realise it is a lifetime commitment, drawing sharp criticism from Church conservatives. The pope, who has come under fire before for making spontaneous comments about doctrinal matters, was speaking at a question-and-answer session with priests, nuns and parish workers on Thursday night in a Rome basilica. "We are living in a provisional culture," Francis said in response to a man who spoke of "the crisis of marriage" and asked how the Church could better prepare young couples. "Because of this, a great majority of our sacramental marriages are null because they (the couple) say 'yes, for the rest of my life' but they don't know what they are saying because they have a different culture," Francis said. In the Vatican's transcript issued on Friday morning his words were changed to read "some" instead of "a great majority". A Vatican spokesman said the pope's off-the-cuff remarks are sometimes edited after consulting with him or among aides. Critics appeared to take the pope's words as a suggestion that most Catholics do not take their marriage vows seriously. Ross Douthat, the conservative Catholic writer and New York Times columnist, said in one of his some 20 tweets on the subject that Francis had made "an extraordinary, irresponsible and ridiculous claim". Matthew Schmitz, editor at the conservative First Things Catholic magazine, called the pope "wrong and irresponsible". Edward Peters, a U.S. canon lawyer who has been an adviser to the Vatican, wrote that the pope's words were "very bad" because they could spur couples in difficult marriages to "give up now" instead of trying to overcome problems. The Catholic Church teaches that a marriage can be ended only by death or an annulment -- a Church ruling it was not valid in the first place because it lacked prerequisites such as free will and psychological maturity. "The crisis of marriage is due to the fact that people don't know what the sacrament is, the beauty of the sacrament, they don't know that it is indissoluble, that it is for your entire life," the pope said. "There are girls and boys who have purity and a great love, but they are few," he said, adding that many young people had a materialistic and superficial approach to their wedding day, such as an obsession with choosing the right gown, the right church and the right restaurant. He said the Church needed better marriage preparation programmes. Conservatives also chided Francis for saying at the same meeting that priests should not pressure couples who were co-habitating if they were not ready to get married. He said the priests should "let fidelity ripen". Francis has been taken to task for unscripted comments before. Last year, he had to clarify remarks in which he said Catholics should not feel they have to breed "like rabbits" because of the Church's birth control ban. Pope Francis is being honest about Catholic marriage today. The Vatican is in damage control mode and out of touch! The majority of Catholic marriages could be annulled according to present church rules. I think couples should follow primacy of conscience in decisions to marry and divorce, and that comprehensive marriage preparation is an important pastoral goal. A married clergy, ( including women priests) bring many gifts of life experience on the spirituality of marriage and family life todayOne major improvement needed is more than a meeting with Father! 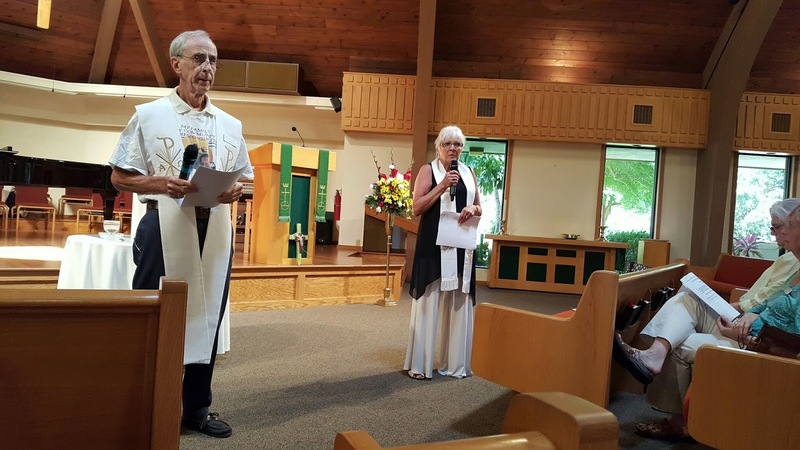 Programs like Engaged Encounter are a step in the right direction.Couples, not celibate male priests, share their experiences of marriage with couples preparing to celebrate the sacrament of marriage. 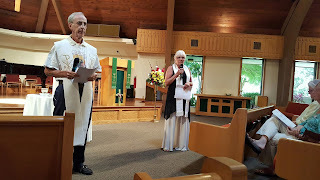 When I worked in pastoral ministry in a Catholic community, we had a Couple Sponsor Program in which a vibrant married couple shared with an engaged couple their real world experiences of married life! They gave a reality check and a supportive relationship outside of family to young couples who were preparing for a lifetime commitment. Terese ''Tee" Rigodanzo­ Kasper is a woman, and she says she is now a Roman Catholic priest. "1 felt like my stepping out in some tiny, tiny way is going to make things more positive.This is a movement," she said. Rigodanzo-Kasper said she was raised Catholic, and she was "often involved in some type or church min­istry or employment." She became aware of the move­ment in recent years. "I was vaguely aware of the movement, but I hadn't followed it closely," she said. When her husband died, however, she looked to get more involved in her faith, and she made a few calls. That is when she began inter­viewing to become a priest. Catholi­cism were still something that called to her. She simply considers the one church law that prohibits women from become priests to be unjust. 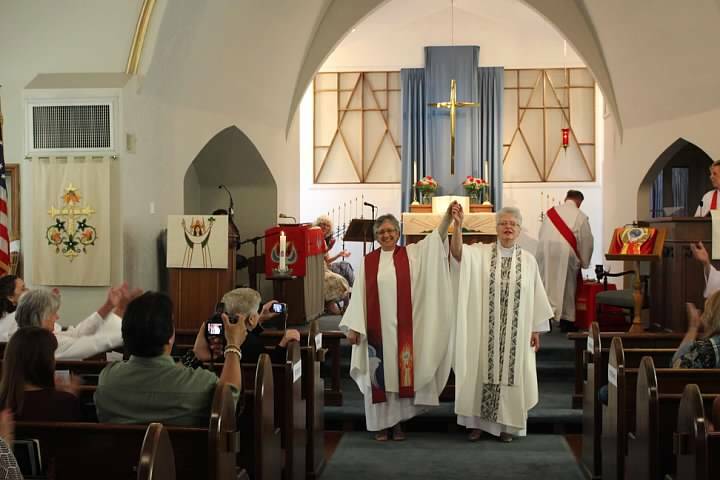 "We feel we can still value the roots and traditions of what we feel are the impor­ tant messages of Jesus," she said. And becoming a priest held one important distinction for her over the sisterhood. 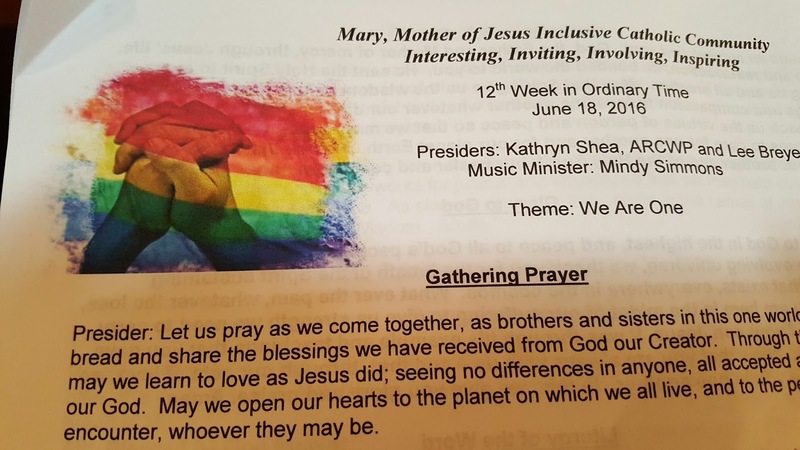 "We are allowed to actually share the sacraments, which is huge," she said. Rigodanzo-Kasper noted the movement is not specific to women, though, despite that being its focus by name. What comes next is any­one's guess, including Ri­godanzo-Kasper 's. She said many choose to practice in the buildings of other denom­inations when time allows. Some start home churches. Rigodanzo-Kasper is sim­ ply doubling down on her involvement with the AR­CWP and mentoring another candidate for the priesthood. Whatever comes after that depends largely on where her faith guides her. "I feel like I'm going to be growing and creating," she said." In the Lives of the Saints, hagiographers described the saints as persons who shared the power of Christ. 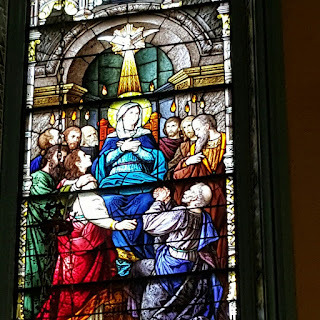 "This power flowed from "their kindship with Christ", writes Jan Richardson In the Sanctuary of Women, "and their intense desire to model their lives on his own. " So too, this sacred power that filled Jesus and the saints, is available to spiritual seekers today. Everyday, we can experience Pentecost, an outpouring of the Spirit in our lives and in our world. In response to the tragedy of the Orlando massacre, I see, a new passion for non-violence, justice and equality that embraces everyone. 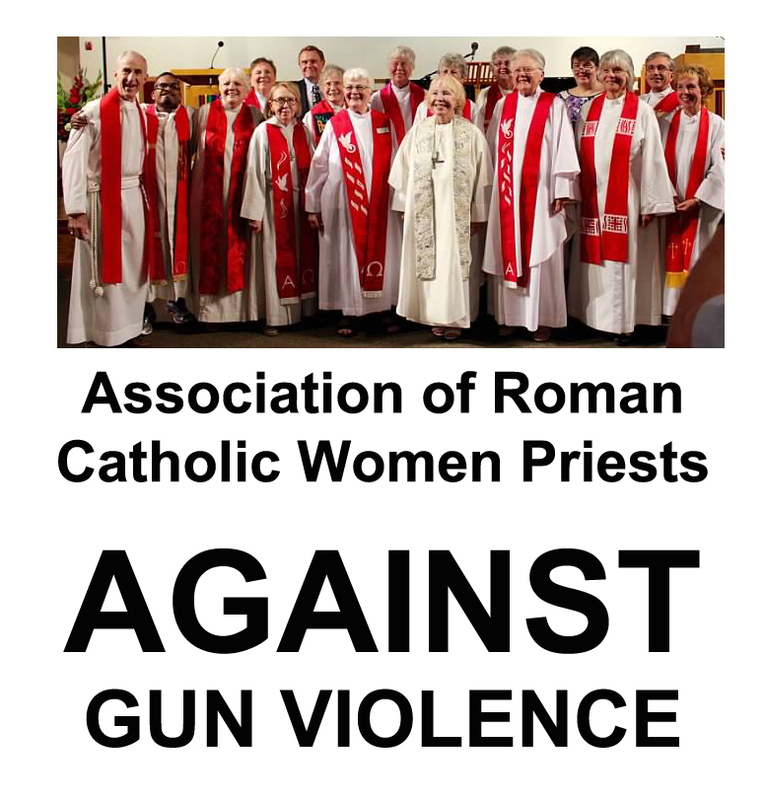 Petitions to ban assault weapons and a call to action for the Catholic Church to change its toxic teaching on homosexuality as "disordered" are two examples. Jesus promised that we would greater things than he did. So, let's walk in faith, trusting that the Spirit of God, dwells within us and empowers us to love, heal and liberate ourselves and all those whose lives have been devastated by violence, bigotry and hatred. 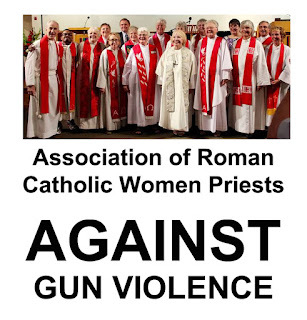 Association of Roman Catholic Women Priests Against Gun Violence, Call Congress to Make Laws to Prevent Gun Violence! Join us and speak out against gun violence! Last night U.S. Senator Christopher Murphy from Connecticut inspired the nation by filibustering in the Senate for 15 hours in an effort to move forward gun safety policy. News reports say there now will be forward progress with a U.S. Senate floor vote as early as next week. But we have to make sure that progress actually happens by making our voices heard NOW! Write your members of Congress and tell them to support legislation that helps prevent gun violence! Jan Richardson, In the Sanctuary of Women, p. 76. Ordenación. Lucero Arias; 2 videos; No views; Last updated on Mar 23, 2016. Play all. Share. Loading. ... ORDENACIÓN BLANCA CECILIA SANTANA PARTE 2. Visitaste esta página el 15/06/16. Lucero Arias. SubscribeSubscribedUnsubscribe 1 .... Loading... Loading... Loading... About · Press · Copyright · Creators · Advertise · Developers · +YouTube. Liked videos. Lucero Arias; 27 videos; 35 views. Play all. Share. Loading. ... ORDENACIÓN BLANCA CECILIA SANTANA PARTE 2. by Papeleria Carzu. 18:31.